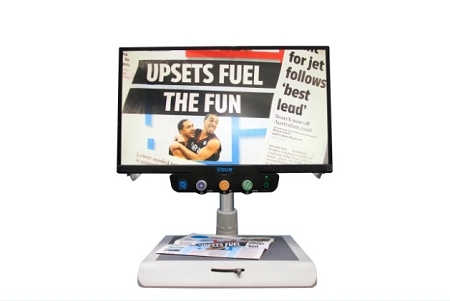 The MyView HD desktop magnifier provides a vivid and unsurpassed image. 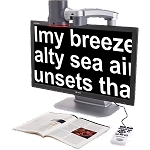 With a widescreen 24” LED monitor, the user can get more text across the screen in order to make reading easier and more enjoyable. 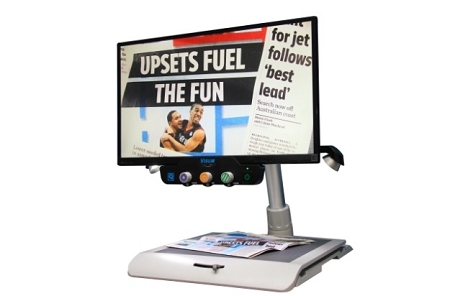 With magnification range from 2.5x - 70x, the MyView HD can help no matter what your condition. 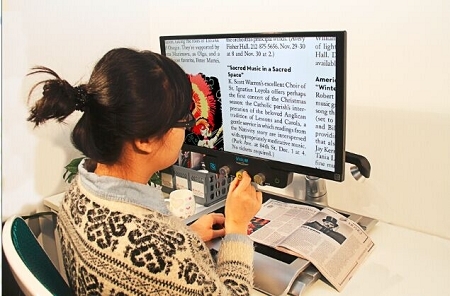 Multiple color modes, foldable structure and lightweight construction make this desktop one of the best. NorthState AT AllView HD 22"